These observations might anger the reader, or alarm her. Possibly they’ll gratify someone. I’ll be sorry if I upset you. At some quiet moment recently Australia reached peak white, reached it and left it behind. That’s the observation that I make. The notion dawned on me late. I might have been asleep. The Australia I was born to was pretty uniformly white. Although I grew up in the country of the Wiradjuri people, I saw few black faces. In my home town in the Riverina, two black boys turned up at my school a couple of times. They owned no shoes. After two days they crept away and I never saw them again. By contrast, when my ancestors arrived here in the mid-nineteenth century, white and black populations were more evenly balanced. Over the following one hundred years, by means more or less shameful, white largely erased black. Around 1970 I started working in a green village of white people on Melbourne’s edge. Here I became the family doctor of a small girl with caramel skin. She grew up to be a beauty. I had known her for nearly twenty years before she spoke to me of her lineage. The child was Australian royalty incognita, descended from one of the first great indigenous footballers. But I was not to tell anyone. During that same decade, in the United States, Black was becoming Beautiful. And after a while Australia’s indigenous people too began to declare their origins. From the start of the sixties we’d been going to school and university with students from Asia. Successive governments relaxed the White Australia Policy and finally dismantled it. Government and Opposition agreed to agree: Australia would open up. And the world entered, first Asia, later Africa. Australia entered the world and the world entered Australia. 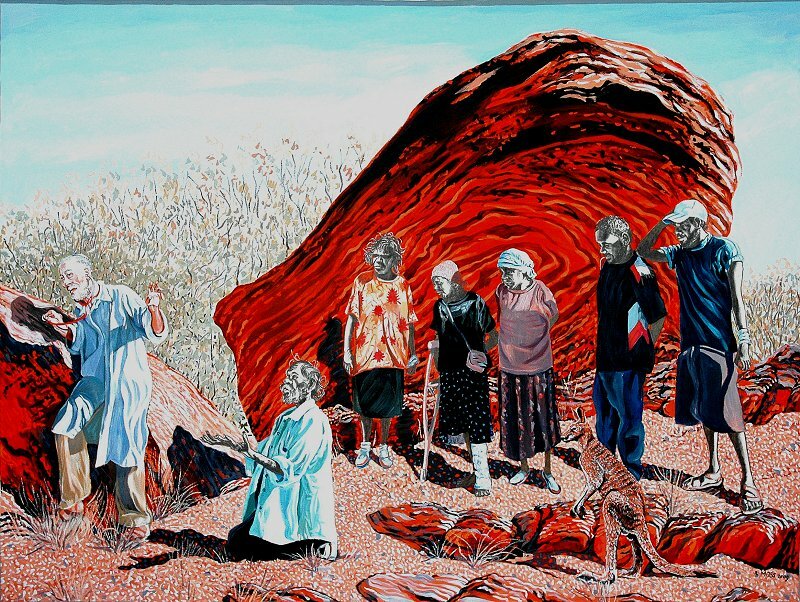 So Australia, a black country that became a white settler country, developed into a variegated society. Over that wider world white has always been a minority. Anomalous then for white to exercise hegemony in so many places and for so long. It’s over now and white should have no complaint. Of course white will fight to protect its advantages. History tells us that struggle will be rough and rude. What will follow – now the wide world is past peak white? It would be naïve to expect power to practise charity. And why expect peoples, long oppressed by white, to respect the rights of their oppressors? We’ve seen the experiment of democracy take root – sometimes deep, often shallow – in many countries. Few of those non-white countries enshrine human rights after the recent Western example. India comes nearest perhaps. Why expect a dominant China or some ascendant Asian Tiger to be more merciful to us once they overtake and possibly colonise us, than the white West was in the times of its dominance – before the peak? (Of course, here in Australia, we’ve been an economic colony ever since Kellogg made our breakfast, Kraft made our foods, Nestle fed our infants, Xerox made or photocopies, Kodak took our photos. When change comes people feel threatened. Anxiety begets aggression, aggression begets retaliation. At the level of local communities, neighbours begin to distrust each other. Community suffers. And we can feel confident that the hatemongers in public life, refreshed and encouraged, will monger away at their rodent work. Meanwhile we’ve developed the sweet tooth of America; eating the whirlwind, we achieve American obesity and diabetes, which we treat with medications from Big Pharma. Now the Pentagon directs our defences, while Amazon, Google, Facebook, Microsoft and the whole gang exercise hegemony in the tax haven they create in Australia. Who can suggest we are not colonized already? With their mass and their electronic power and expertise, who would be surprised when we become a colony of Asia? If this makes you feel gloomy I can offer one striking example of hope trumping fear. That example occurred in the Republic of South Africa where, under Mandela, the black majority gained power. White had long resisted black rights; there’d be chaos, a bloodbath was inevitable. Black assumed power through the ballot, not by bullets. Although plenty of disorder followed, the feared bloodbath never took place. The explanation? I think Nelson Mandela was the explanation. Humanity will need more Mandelas. 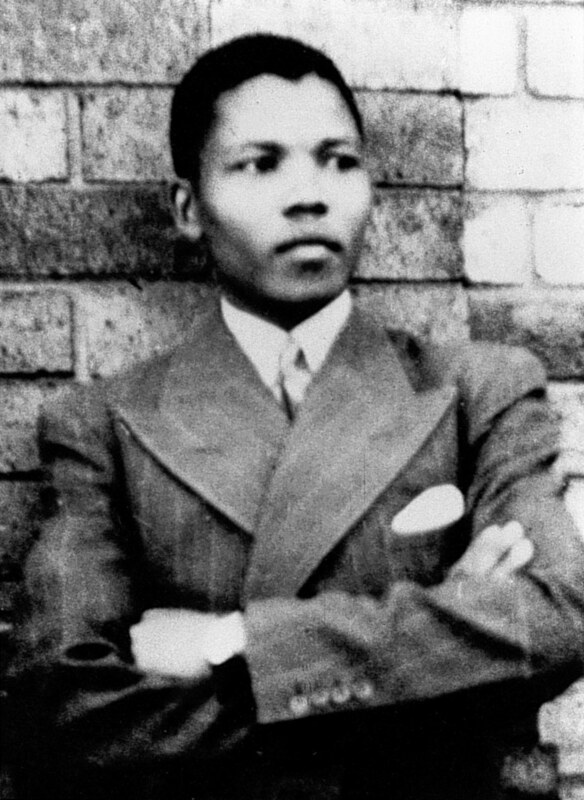 “I lived in the era of Nelson Mandela”. That statement is something I can tell my grandchildren; and they in turn will say to their grandchildren, “My grandfather was alive in the days of Nelson Mandela”. A person of that calibre does not pass this way every century. New York Times 8 July 2013. LONDON — The South African living for my family was easy. The staff changed the nappies. The houseboys brought the braziers to the right glow for the braai. Two gardeners were employed, one for the roses and one for the rest. When dinner ended the bell was rung, either by hand or by pressure of the foot on a buzzer beneath the carpet. A black servant would appear dressed in a white outfit. My grandfather, Laurie Adler, and his friends donned their whites for Sunday lunch, preceded by a cocktail of “gin and two” (one third gin, one third Cinzano Bianco, one third Cinzano Rosso and “and full to the brim with ice”), before ambling off to play bowls. At picnics on Table Mountain, a beret on his head, socks pulled up almost to his knee, Laurie would plunge a knife into the pale green watermelons, making a series of incisions before, with a flourish, allowing the succulent fruit to fall open in oozing red bloom. We feasted and left a trail of eggshells and bitten-out watermelon rind. And on Robben Island, without watch or clock, Mandela maps time on the wall of his cell. A particularity of the apartheid system was that blacks were kept at a distance except in the most intimate of settings, the home. They cooked and cleared away; they washed and darned and dusted; and they coddled white children. After the Shabbat meal on Friday night guests might leave some small token of appreciation on the kitchen counter (“Shame, I don’t have much change”) or slip a few rand into a calloused black hand. Elsewhere lay the Africa of the Africans — the natives as they were often called — the distant townships of dust and dirt where water was drawn from a communal spigot, and homes consisted of a single room, and clothes were patched together from scraps of passed-down fabric, and the alleys were full of the stale stench of urine. I could smell the hardship in the sweat of the houseboys and see it in the yellowish tint of their eyes. And on Robben Island, Mandela records on a South African Tourism desk calendar the humiliations inflicted by white prison warders. A relative told me his first political memory from the early 1950s was of a great tide of black walkers streaming from Alexandra township — “like the Jews leaving Egypt,” he said, but of course no liberation awaited. The blacks were protesting against a one-penny hike in bus fares. Moenie worry nie, Laurie always insisted — don’t worry. He had been born in South Africa in 1899, my grandmother Flossie in 1900. They should know. South Africa was as good a place as any for a Jew to live in the 20th century. A friend of the family let slip a sentiment widely felt but seldom articulated: “Thank God for the blacks. If not for them it would be us.” Jews on the whole kept their heads down; better just to keep stumm. Flossie voted for Helen Suzman’s anti-apartheid Progressive Party and then prayed the National Party remained in power. She was not alone in such genteel hypocrisy. And on Robben Island, Mandela cultivates not hatred — that would be too easy for the whites — but the power of patience and perseverance. The blacks were a form of protection. If you are busy persecuting tens of millions of blacks you do not have much time left over for tens of thousands of Jews. For South African Jews, aware of the corpse-filled ditches of the Europe they had fled, the knowledge of the 69 blacks cut down at Sharpeville in 1960 was discomfiting. But this was not genocide, after all. Most, with conspicuous exceptions (more proportionately among Jews than any other white South Africans), looked away. And on Robben Island, Mandela learns that not even a life sentence can condemn a man to abandon the mastery of his soul. I have been dreaming of Mandela. An old idea: He who touches one human being touches all humanity. I have been murmuring his name: He broke the cycle of conflict by placing the future above the past, humanity above vengeance. He reminded us of what is most precious in Jewish ethics: What is hateful to yourself, do not do to your fellow man — or, as the Mosaic book says many times, you are to treat the stranger well for “you were a stranger in a strange land.” Repair the world. Be a light unto nations. The truth is we did not deserve him. We could not even imagine him. But, as I learned young in South Africa, the human spirit can avert even inevitable catastrophe. A version of this op-ed appeared in print on July 9, 2013, in The International Herald Tribune.